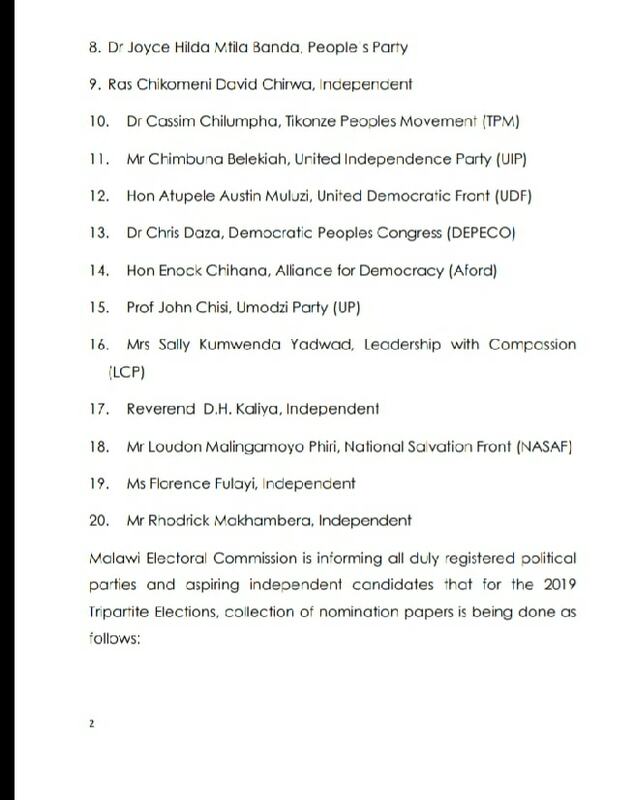 As the day draws near for the for the country to host its second tripartite election on May 21, 2019, information reaching faceofmalawi indicates that the number of presidential aspirants who have collected nomination papers has jumped from 13 to 20. Malawi Electoral Commission (MEC) Chief Elections Officer Sam Alfandika has confirmed of the development in a statement released on Thursday. According to Alfandika, the new aspirants who have collected the nomination papers are John Chisi of Umodzi Party, Alliance for Democracy’s Enock Chihana, Sally Kumwenda Yadwad (Leadership with Compassion), Reverend D.Kaliya. 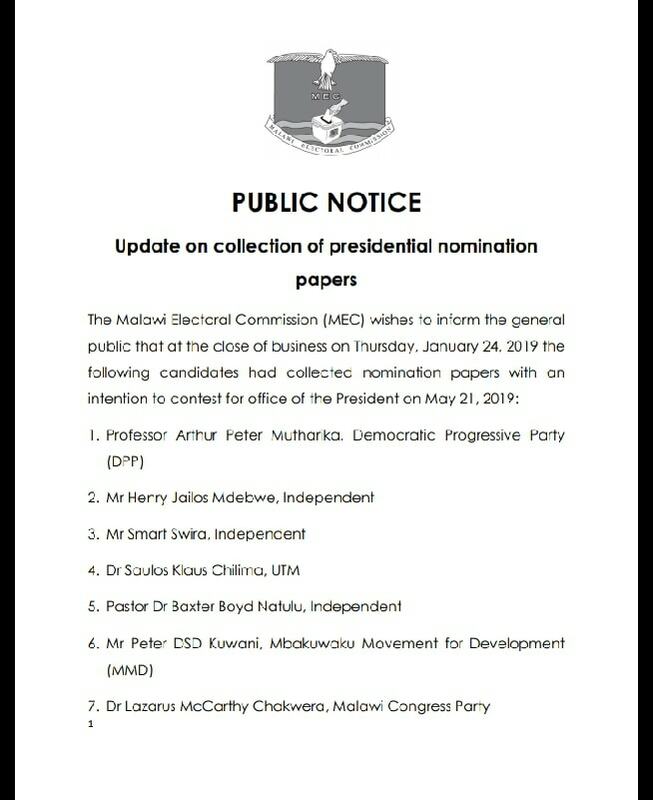 The other candidates are Florence Fulayi, Rhodrick Makhambera (independents) and Loudon Malingamoyo Phiri (National Salvation Front).